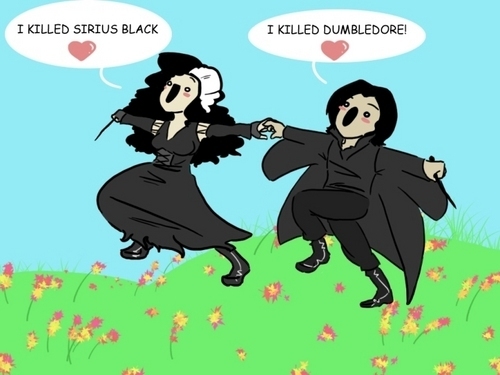 Bellatrix and Snape. XD. HD Wallpaper and background images in the ハリーポッターｖｓトワイライト club tagged: series harry potter bellatrix lestrange severus snape funny killed.